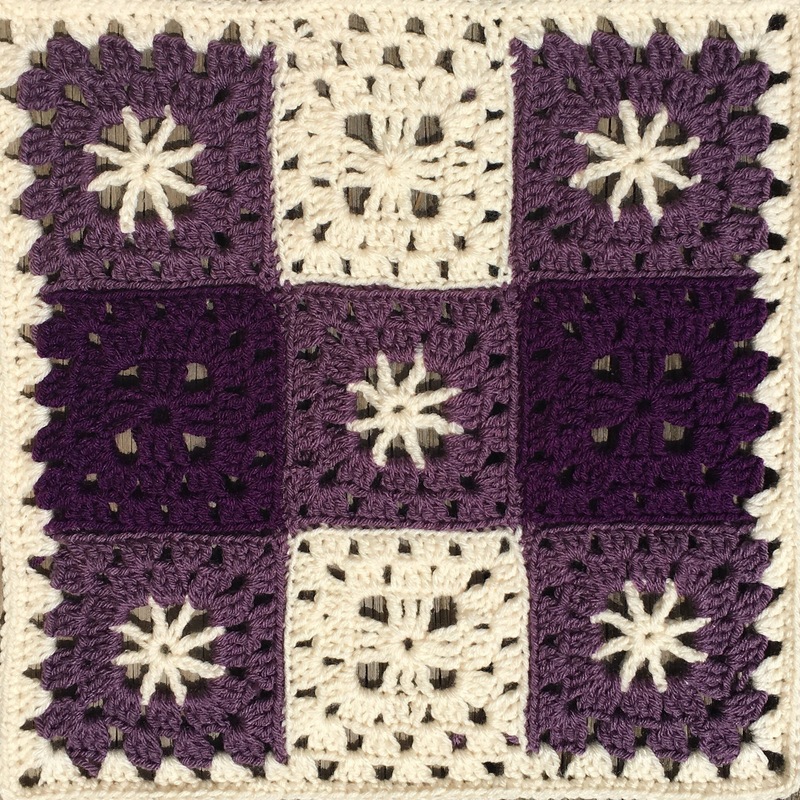 New Pattern available now for two fun granny squares that can be combined to form a gingham-like pattern. Squares as shown measure 5” square with aran weight yarn and a 5.0 (H) hook but you can use your favorite yarn and appropriate hook. Make Square # 1 using Color A (white or light color) for the star and Color B (medium tone) for the surrounding rounds. Alternate the squares as shown to make a gingham look. 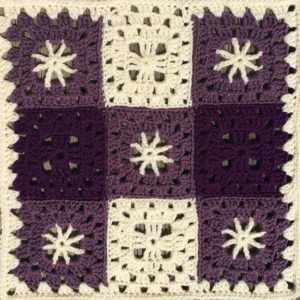 Add your project page and we can admire your finished blankets. Free Coupon Code is FFF (which means Free For Fans,) good until September 30, 2018. Would love to see your finished blankets; make a Ravelry Project page to help spread the word about my patterns. See my Facebook Crochet-A-Long group for pattern support, Like me on Facebook, and follow me on Instagram to keep up with the latest designs!